Making progress – Are you focusing on the most important motivator? Many leaders who really ‘own’ the role of being a people leader are regularly looking for ideas that can help them to become a more effective leader. One of the most important messages relates to the ability of a leader to have an impact on the motivation and engagement levels of their team members. In the HBR article called ‘Inner Work Life’ by Professor Teresa Amabile and psychologist Steven Kramer we found that the most powerfully motivating condition people experience at work is making progress at something that is personally meaningful, even if that progress is a small win. 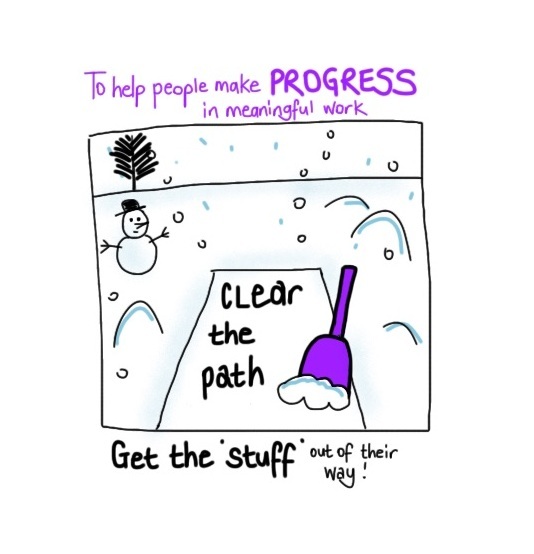 How can you help to get the ‘stuff’ out of peoples’ way’ so they can find a sense of achievement, mastery and purpose? What have you done today to help someone else have a ‘great day’ at work? Dr Tomas Chamotto-Premuzic in an HBR blog he explored the question : does engagement at work actually cause higher performance – or are high-performing employees just more engaged? A study by Gallup found that the most effective leaders don’t just motivate people by focusing on engagement, they also focused on enhancing an employee’s performance. ‘Employees are seven times more likely to be engaged when they report that their managers are aware of the tasks and projects that they are working on, which suggests that when bosses make their employees accountable, their employees are more engaged. 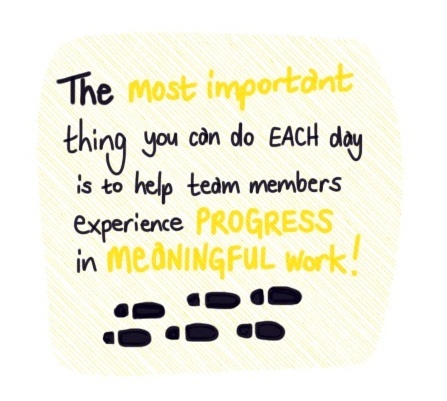 In simple terms, then, if leaders can help their employees and teams perform to the highest levels, especially on things that matter to them – and help them to achieve even beyond their own expectations, engagement becomes a happy by-product of success. Want more on this topic? Click here.